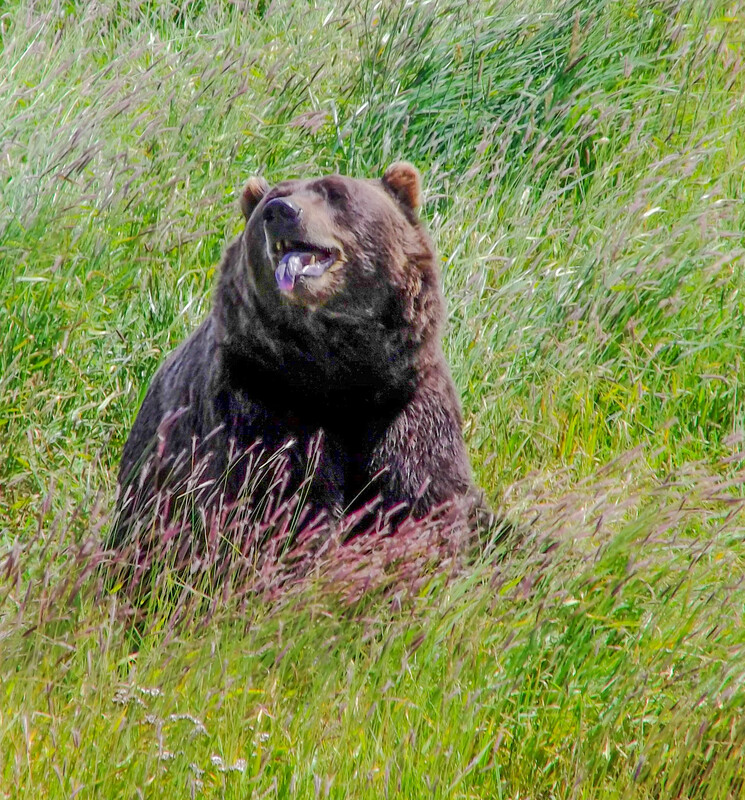 The Kenai Peninsula is Alaska’s playground. 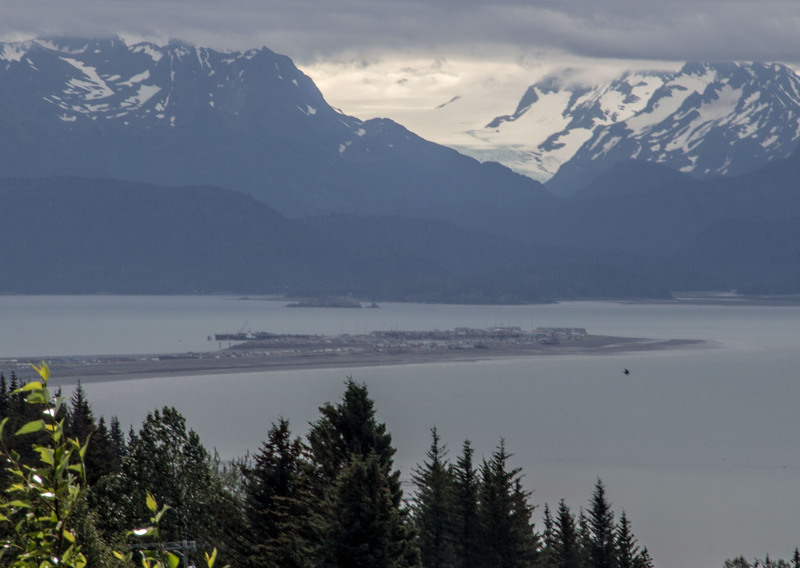 Located south of Anchorage it is easily accessible to locals and visitors. We found it to be the busiest area of Alaska. We visited with our grandson, Graham, from July 15 to July 23. 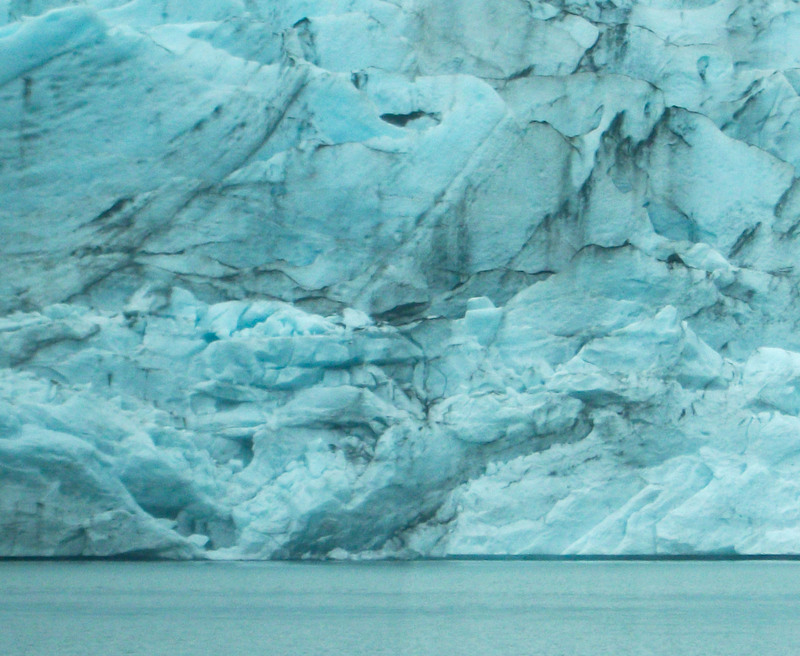 Portage Glacier is one of the most visited glaciers in all Alaska. Its retreat is very famous too. 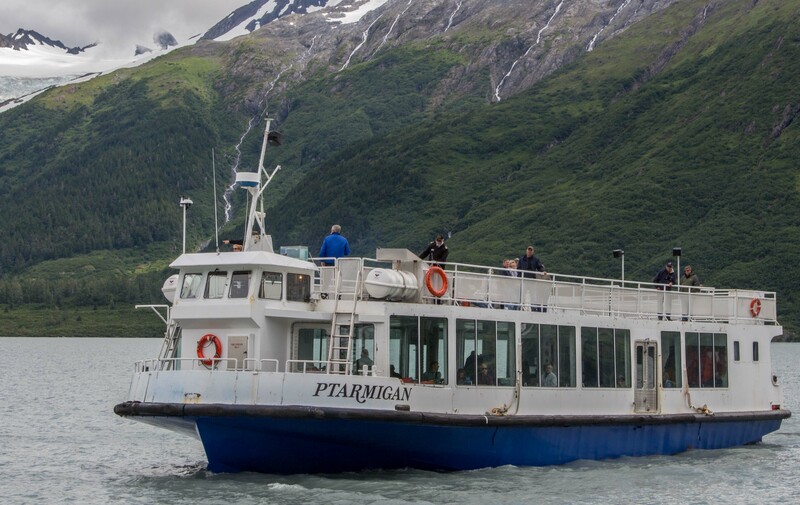 Today one must board the Ptarmigan tour ship to see the glacier which was very much larger and closer in our lifetime. 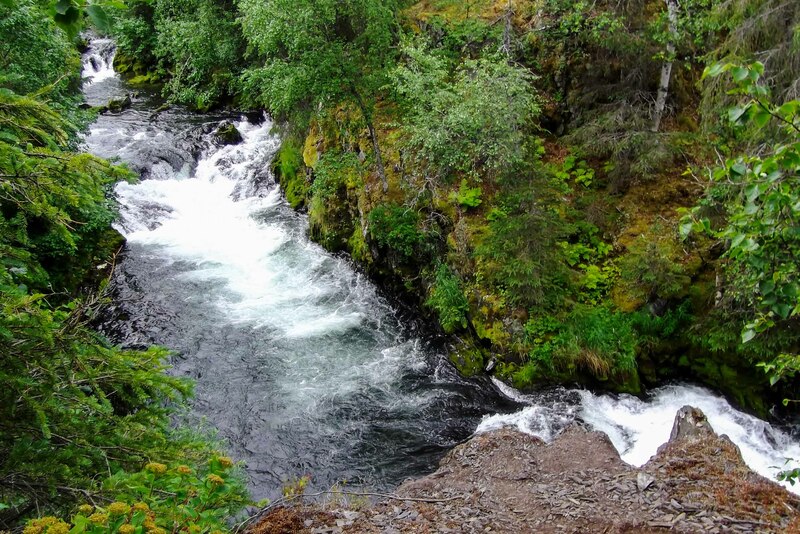 The Russian River in the Kenai Peninsula is famous for salmon. It was one of the few places we actually needed to reserve a campsite as we were arriving at the peak of the red (sockeye) salmon run. 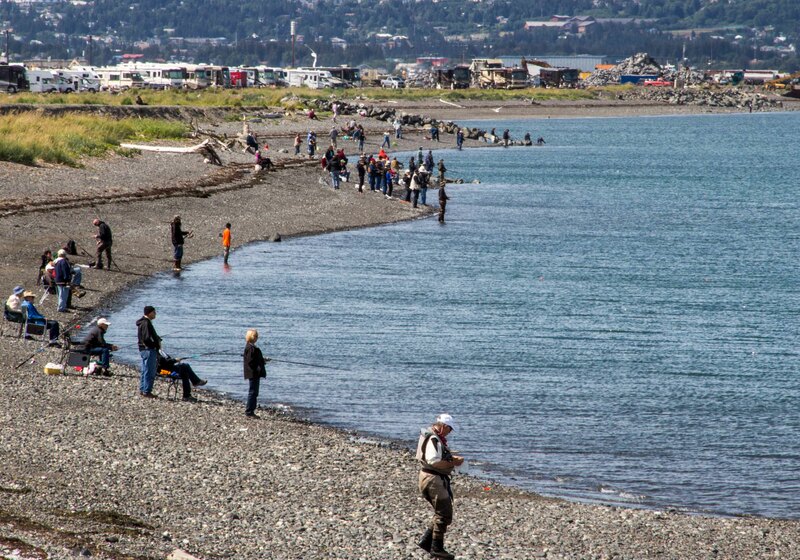 Hundreds of fishermen and women lined the Russian River and the Kenai River catching spawning red salmon. 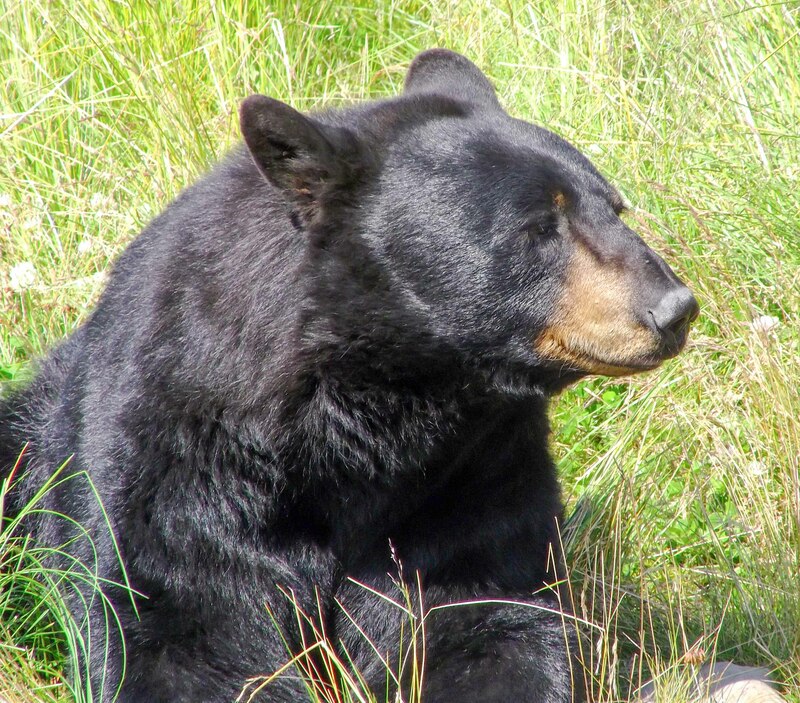 We heard there were bears participating as well but didn’t see any. It was very exciting to watch and we found good hiking to get to some great views. The western shore of the Kenai faces Cook Inlet, named of course by that Captain Cook who seems to have been everywhere. All along the coast its all about fishing. 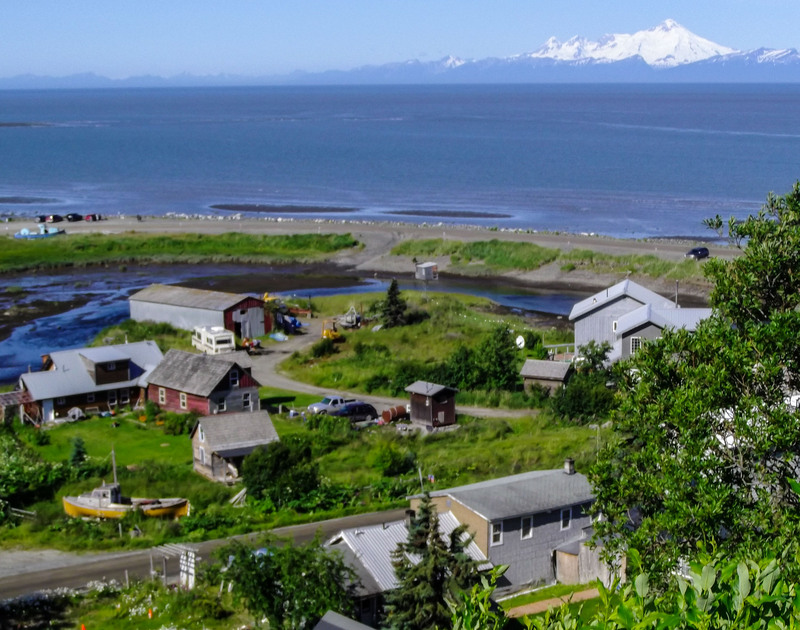 We stayed near Ninilchik, a small fishing village about half way down the west coast of the Kenai. From there we visited Homer and Kenai (the town). 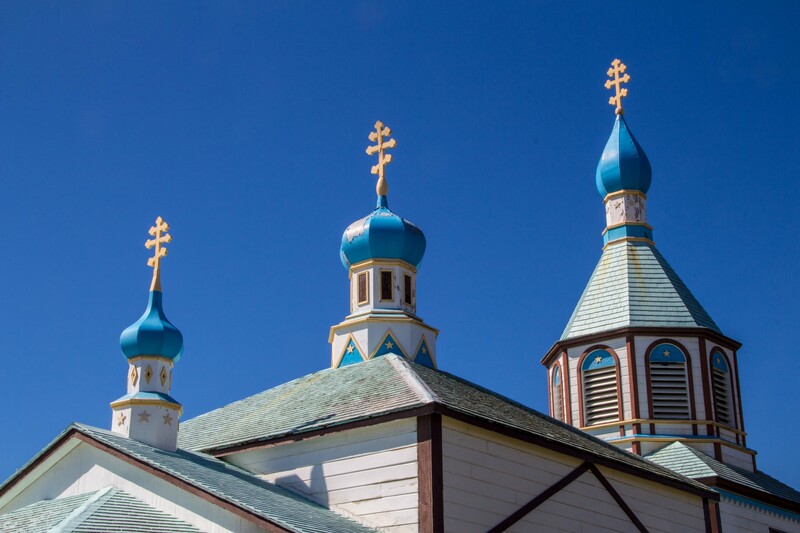 The first Europeans to visit this coast were the Russians and there are still beautiful Russian Orthodox Churches and small congregations. The area is hugely popular for the halibut and salmon. 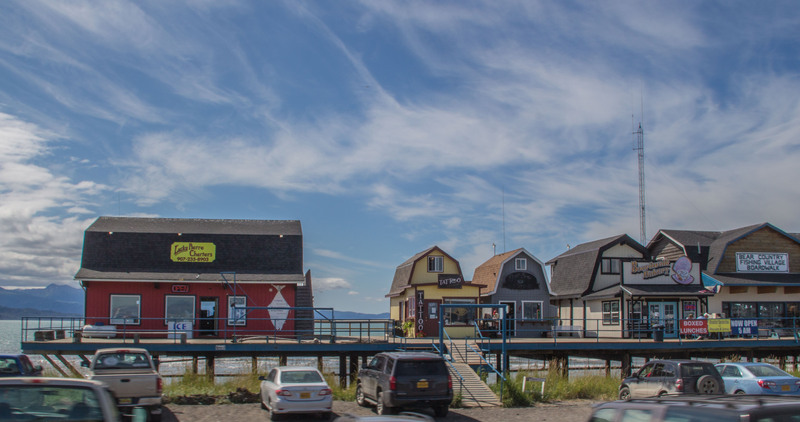 Homer spit is a famous sandbar jutting out into Kachemak Bay. It is an eclectic mix of fisherfolk, artists and campers. 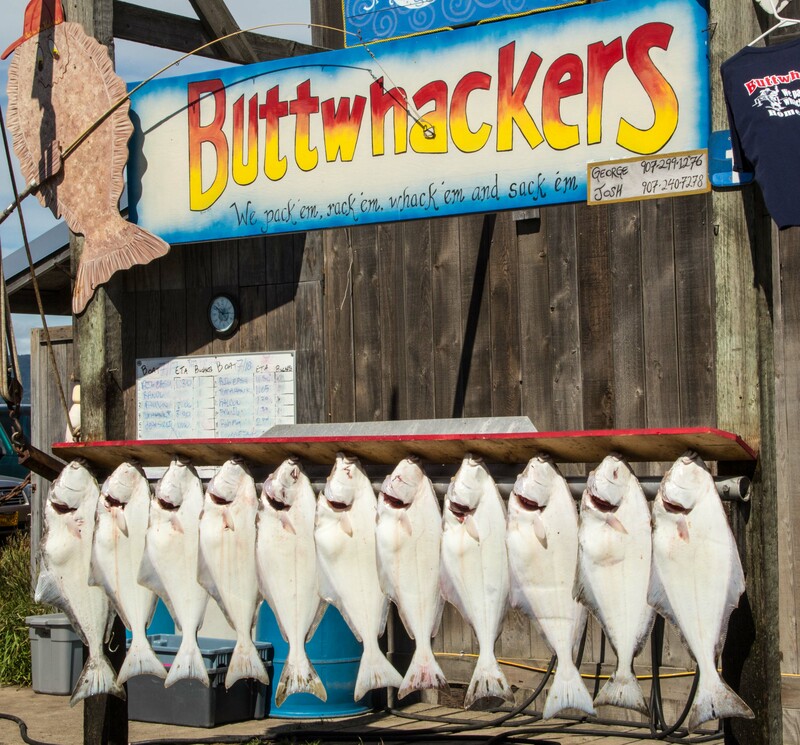 It is reputed to be the Halibut Capital of the World and we saw lots of halibut caught and displayed. Homer also features Nick Dudiak lagoon where just about anyone can try to catch spawning salmon. 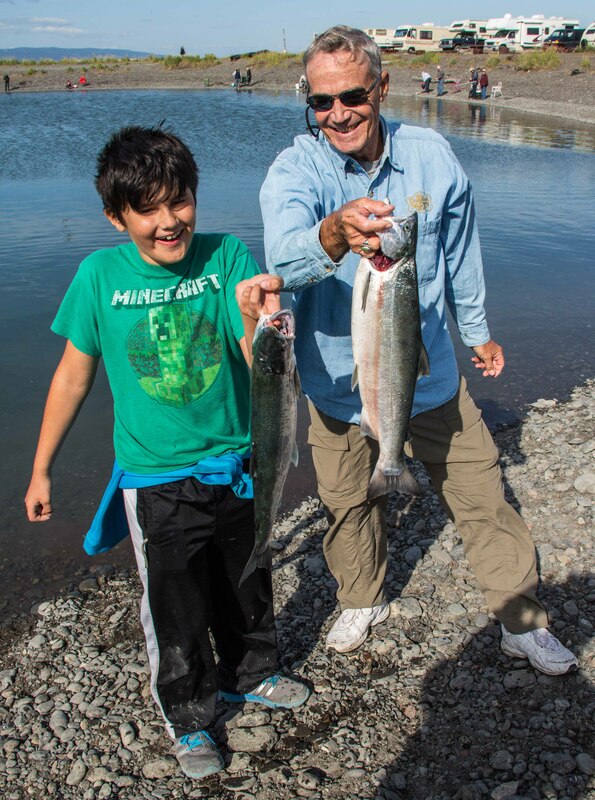 Graham and Randy spent an afternoon fishing the lagoon and caught 2 beautiful silver (coho) salmon on their last herring. 9 year old Graham was ecstatic and Randy was pretty happy too. 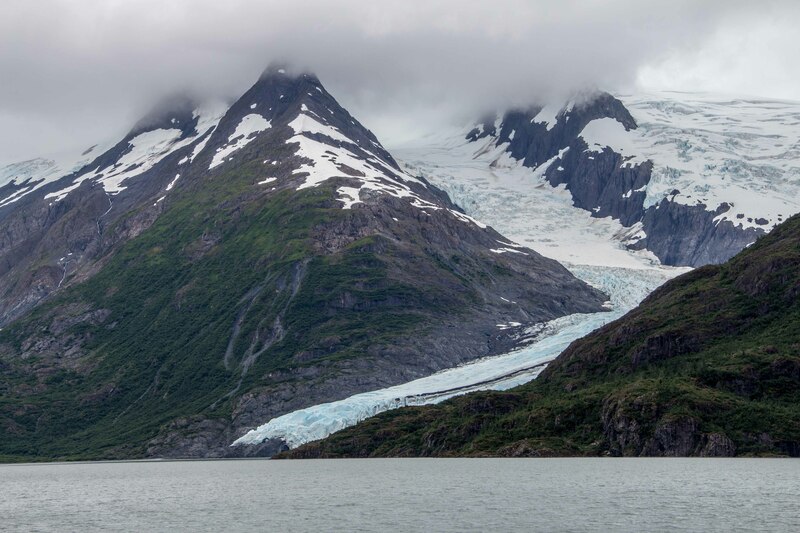 Further along in our exploration of the Kenai we visited Seward and Kenai Fjords National Park. There we hiked in the rain to see Exit Glacier. We also took Graham to see I Did A Ride, the summer tourist version of the famous Ididarod dog sled race. We met the dogs and rode a wheeled sled pulled by a bunch of dogs from the family who have won the race the last 2 years. It was pretty amazing. 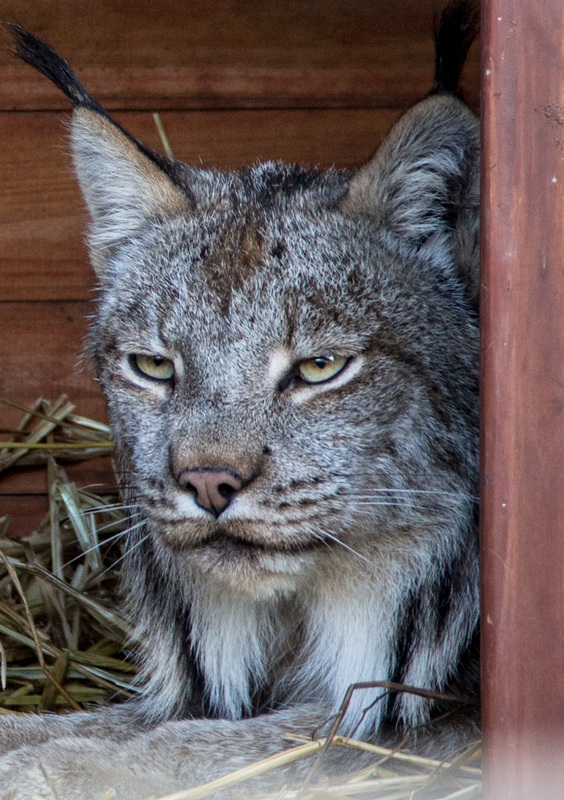 Our tour of the Kenai ended with a visit to an animal rehab center where we got to see many of the wildest animals up close. 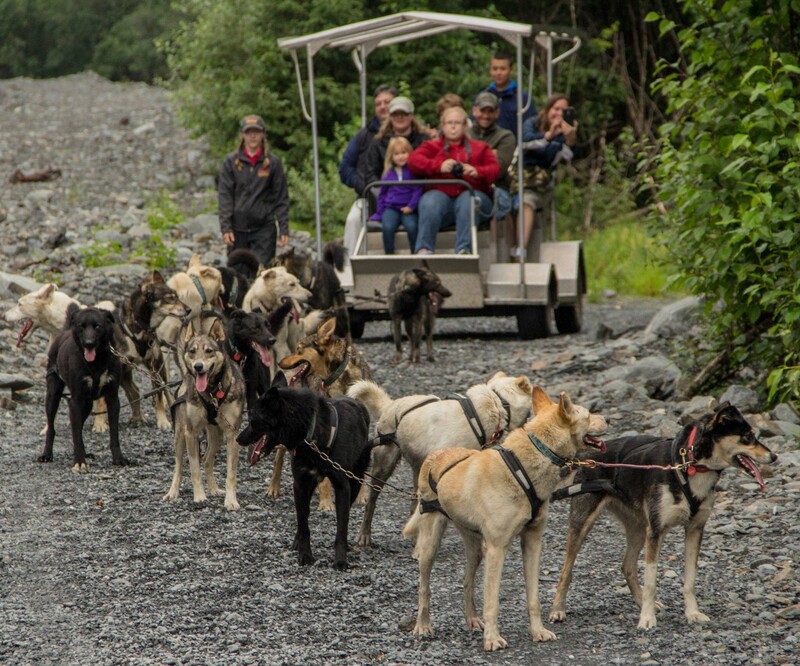 Kenai is Alaska’s playground for a lot of good reasons. While it was the busiest place we visited there were still many many places so quiet and peaceful and wild you could hear a pin drop. 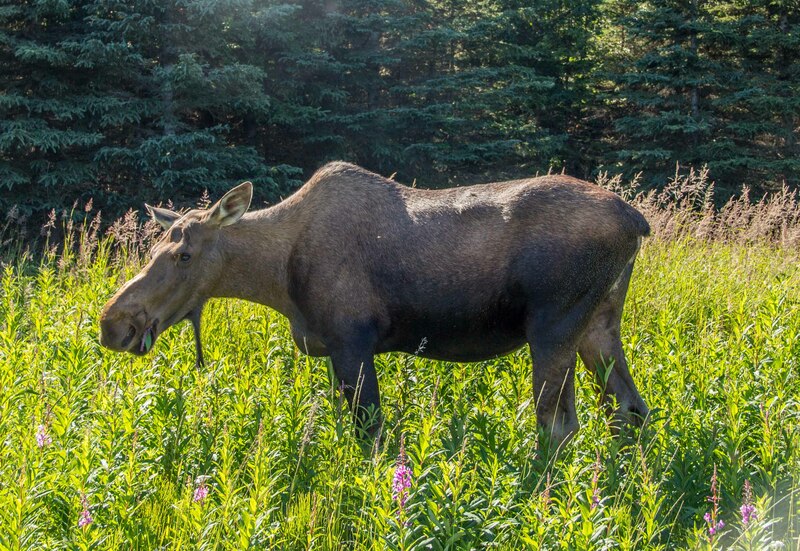 This entry was posted in Alaska, national parks, RV, RV Travel. Bookmark the permalink. Yes, we really loved Alaska. Have to go back to finish our to-do list. Oh, so exciting! I know that your grandson had to have the most remarkable stories to tell about his summer vacation! In the photo of Ninilchik, Alaska, is that Denali in the background? Again, more items on my bucket list! Thanks for sharing your wonderful journey! Graham loved Alaska. 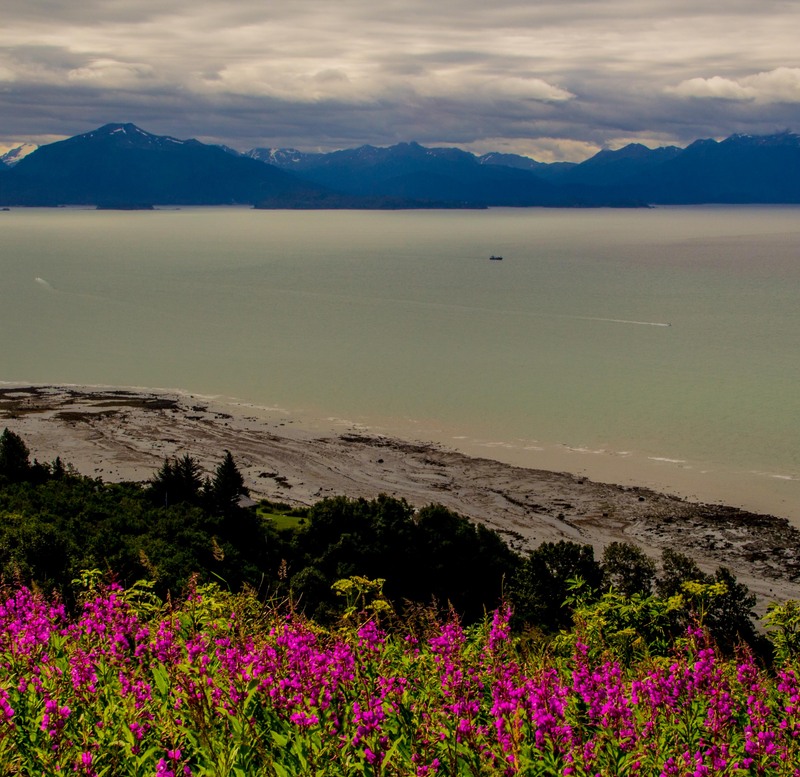 Cook Inlet has 5 spectacular volcanoes along its western shore. The one across from Ninilchik is Iliamna. There are all active! Spectacular views and love that moose shot! This is just wonderful stuff to read about. Thanks so much for letting us travel with you.